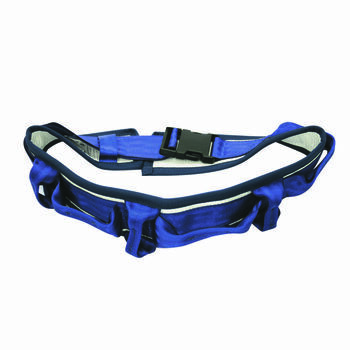 The Pro-grip belt provides a safe, conventient and secure method of lifting, turning or supporting patients for almost every handling need. Belt has four vertical and three horizontal handles which allows for excellent grip. Quick release camlock buckle. For more information about our patient handling range, contact our helpful staff today!